Ah ha! An excuse to get things done and NOT stay up until 3AM all the time. l'm in! 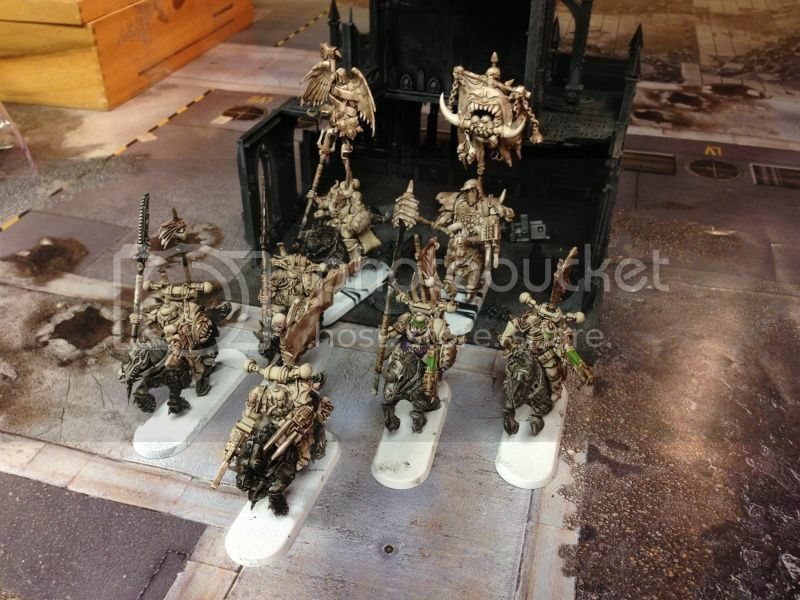 My first goal is to have a 1500 fully kitbashed and converted Forge World Death Guard army finished by March 23rd. This is going to be quite a bit of work. 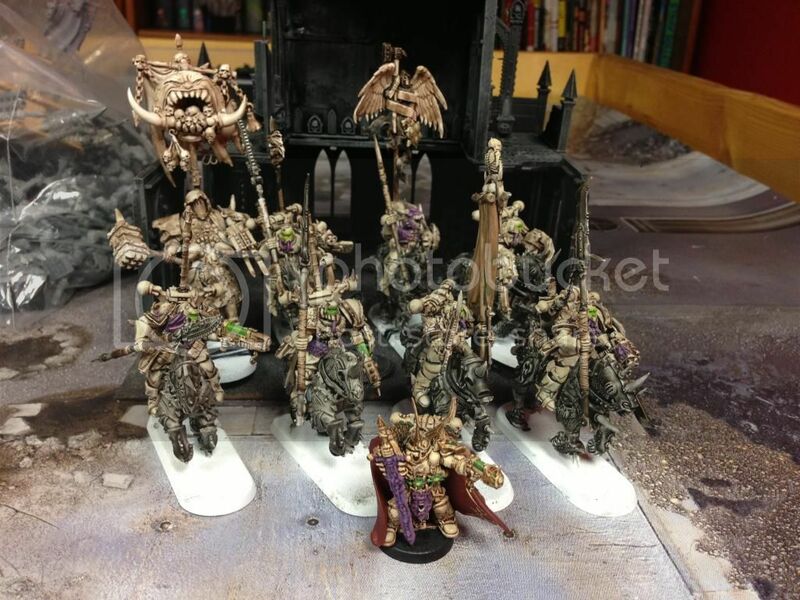 I'm also going to intersperse some Demons here and there, mostly in league with Grandfather Nurgle but there will be some Tzeentch units here and there to go with my Thousand Sons. I'm going to go week by week, probably do updates on Mondays. Week 4: Some more work on the Bikers, started and finished Deathmatch mini in the same day! 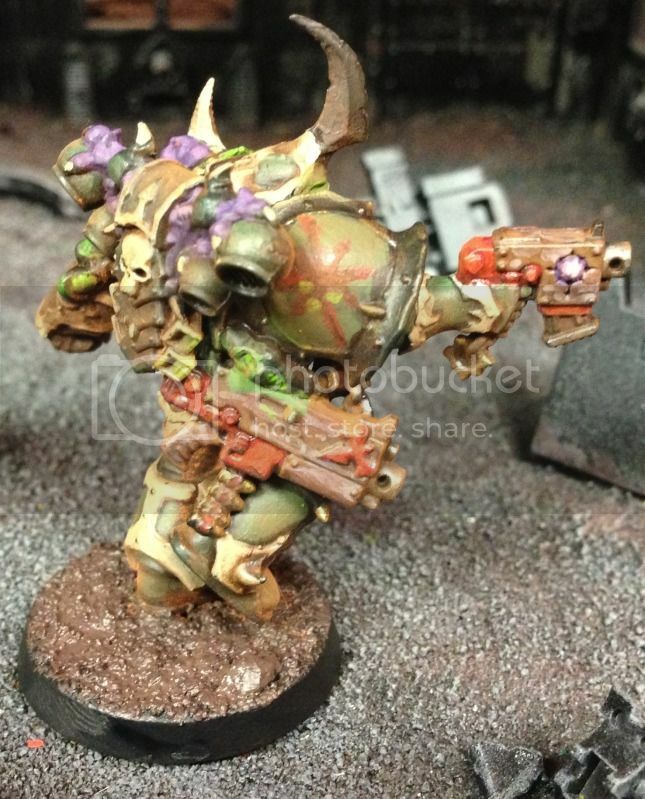 I'm working on Death Guard Bikers now. There are 6 Bikes, a Lord and a Sorcerer. I'll post up some pics of where I'm at later. I'd like to finish painting to tabletop standard this week, then do the basing. I still have a lot to build, so I'm tabletop painting now and I'll come back in and make them purtier once I have everything to TT. So here is my Deathmatch entry. I'm a stupid person and waited until the last minute...and remembered I didn't have any primer. So, I just grabbed a model I had received in a trade that was primed already. It isn't perfect, but it was paintable. So I sat down yesterday for a little bit and painted like a fiend. I used usual techniques: wet blending, drybrushing, wash mixing and layering. I also tried some new ones: Woodgrain, OSL, and using pigments. I figured since I was dead meat anyway, I would go for the gusto and try new techniques. I think I could use more practice, but I'm happy I went for it. I also learned that if I'm going to paint armor trim, I'm going to base the model in that color. PITA and why I never followed through painting Black Legion after 5 models oh so many eons ago. That said, I love the bone trim. Hated it when I started, though. I want to try something different with the pigments next time. 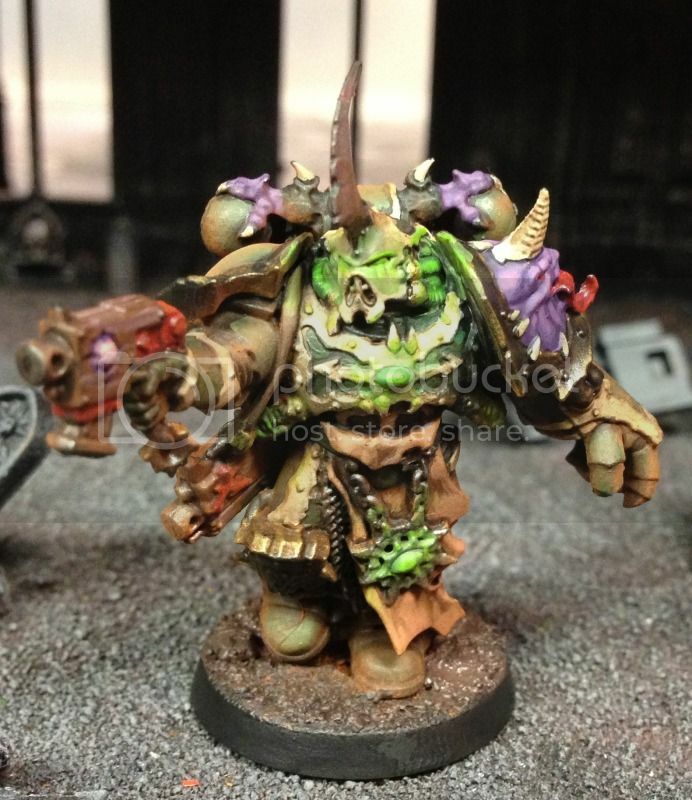 I like my Death Guard wet and dirty (no peanut gallery comments, please) but it looks more dusty. I learned something, and next time I'll try a medium of some sort to apply the pigment. I'd like it to be a bit heavier. I painted brass, my arch nemesis. I hate painting bronze and brass, and went for it anyway. I normally hate how it looks, but I'm really happy with it. I darkened it a lot, and tried to put a light patina on it. I used those new GW texture paints on the base, and I really like it. It's nice and clumpy and muddy. All that said, it still looks like I used crayons. Dez, as always, your work is impressive! 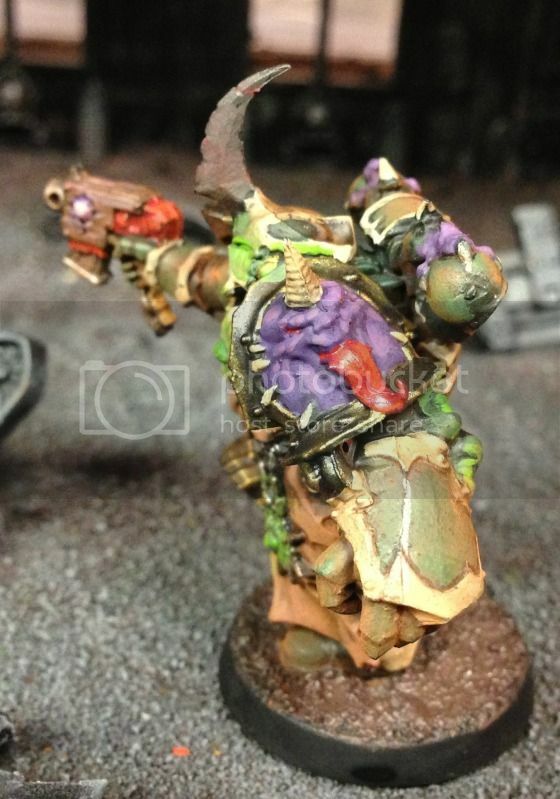 Definitely a fan of the OSL. Eee! 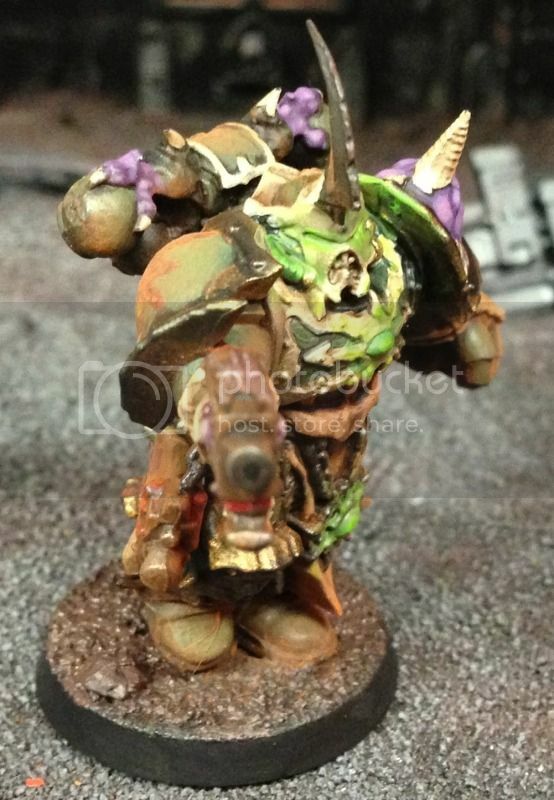 I love it... almost makes me want to collect Chaos Marines. 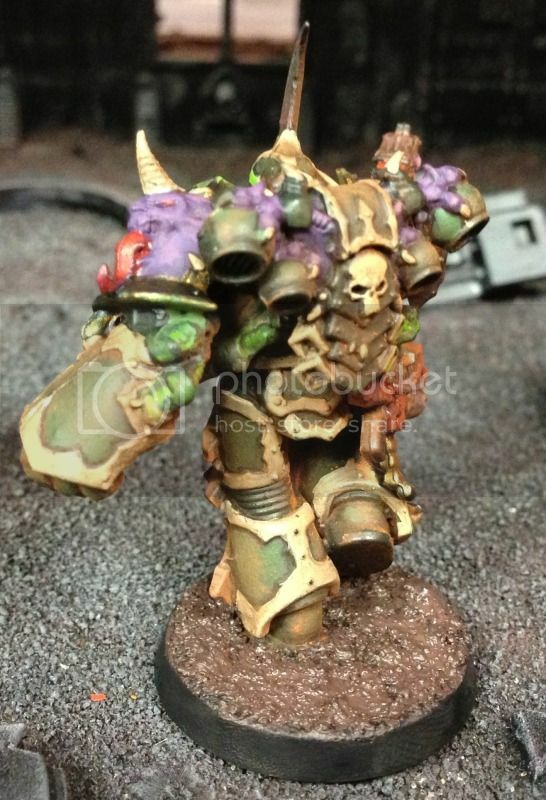 The rust-ish metal/brass is amazing and the purple demonic bits are disgustingly good! 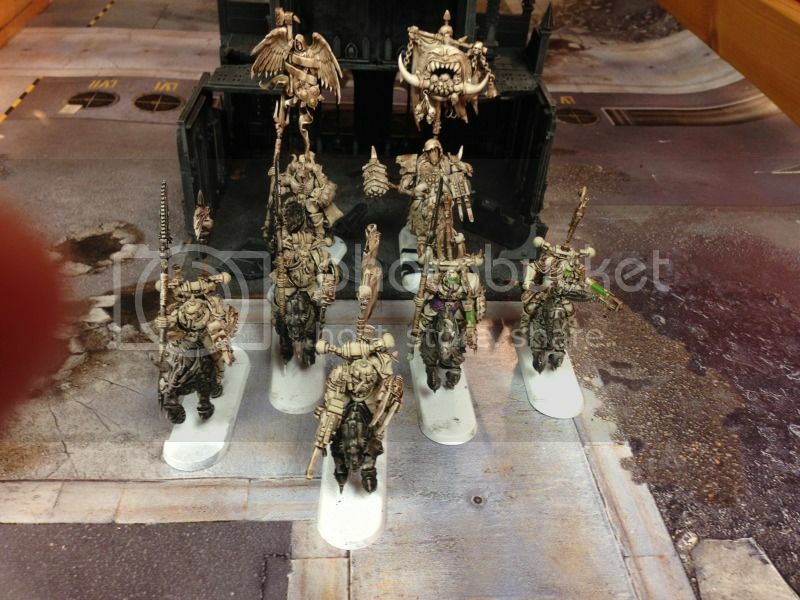 OSL was brushed on or done with an airbrush? Oi, ya git! Get ya lazy arse roight into our Group Builds! Be da best Mek and loot all da pieces! It's all brush work, it's been a while since I've gotten the airbrush out. Wow! those are really nice "bikers"
May I use the idea? Don't forget to vote for Mini of the Month here http://www.miniwargaming.com/forum/view ... 0&t=102221! Here is a WIP group shot. Most of these are tabletop, the Lord on bike still needs some work.